Last Friday April 26th, marked a milestone many bands practice in their heads and in front of a mirror as much as their own instrument. Well, Bushwick crushes So So Glos can stop doing all of that as they made their National TV show debut on none other than The Late Show with David Letterman. To grasp the magnitude of this achievement, they are amongst bands like The Black Keys, Fleet Foxes, The Joy Formidable as well heavyweights like Coldplay and Peter Gabriel to grace the stage. 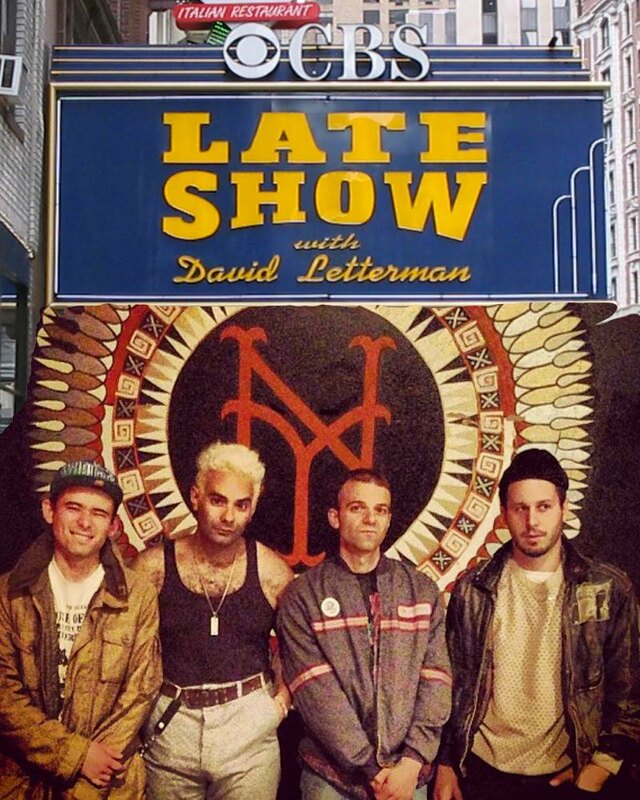 So So Glos made their first National TV appearance on the David Letterman Friday April 26th - picture courtesy of So So Glos Facebook. The debut album titled "Blowout" was released April 23rd on their own label Shea Stadium Records. The label is named after their venue/home Shea Stadium which they founded. You can see the hard work, long nights, and empty stomachs come to a beautiful success story in full HD and sound. They performed "Son of an American" as David Letterman introduced them last Friday night; their National TV debut. At one moment you can see the transition of band to rock stars by the second chorus snarl. David Letterman himself ends the show with saying "One of the many great things about Brooklyn." As they delivered no less than a stellar performance, this moment captures not only the spirit of the song, these boys, but what we need to start this summer right. An anthem to start and end every night that we survive till winter! These are Bushwick's hometown heroes. They are on tour now!